Everyone is curious about what the future holds. 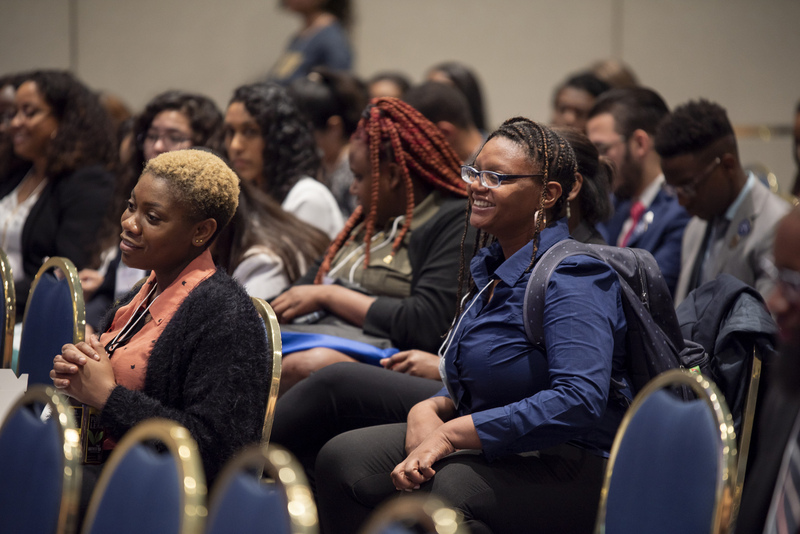 For graduate school hopefuls attending the FIU McNair Scholars Research Conference, a McNair alumni panel offered a glimpse into that future. Five alumni of the Ronald E. McNair Post-Baccalaureate Achievement Program, who are currently doctoral students in fields ranging from psychology to civil engineering, spoke to a group of undergraduate students in the Graham Center Ballrooms on Oct. 18 about their experience as McNair scholars. The panel covered everything relevant to graduate school—from how to choose a mentor to managing a healthy workflow. “The undergraduate research experience that McNair gave me made me a competitive applicant against masters students coming in,” said Talegria Brown, a second-year doctoral student in public health at the Robert Stempel College of Public Health & Social Work. 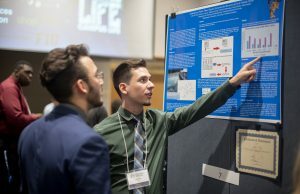 The McNair program is a federal initiative that helps traditionally underrepresented groups and first-generation college students obtain doctoral degrees by giving them undergraduate research opportunities. The scholarships are funded by Congress in memory of Ronald E. McNair, an African American astronaut and physicist who died during the launch of the Space Shuttle Challenger in 1986. 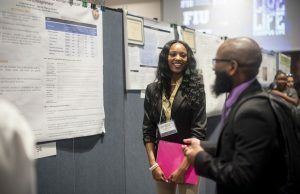 FIU’s McNair program has served more than 300 undergraduates who have gone on to graduate school at universities across the United States. 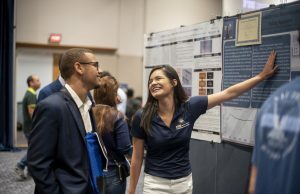 Since 2013, FIU has been hosting a national McNair Scholars Research Conference, which this year welcomed more than 200 registered participants from 45 different institutions of higher learning. 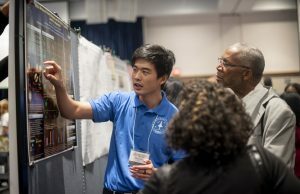 The conference offered a forum for undergraduate students from diverse fields to present their research, network with peers, meet with graduate recruiters and partake in a variety of professional development experiences. One of these experiences was the McNair alumni Panel, moderated by FIU faculty member Clinton Castro, who is a McNair alumni himself. 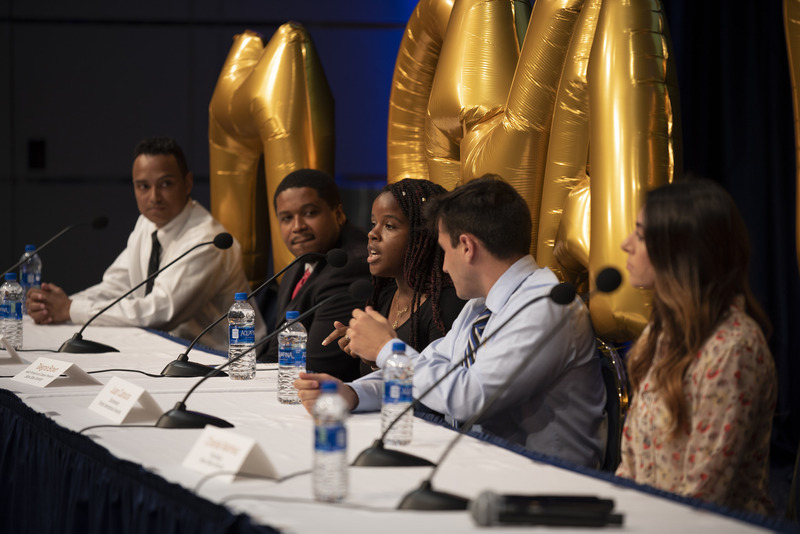 Given that most of the McNair scholars come from first generation and low-income backgrounds, for whom the idea of graduate degree may seem daunting and unattainable, the panel offered important insights and inspiration for the audience. The first question posed to the panel: how can undergraduate students boost their chances of getting into graduate school? “I reached out to all of the professors I was interested in working with and shot them an email before I even applied. I told them my research interest and that I thought their articles were interesting, and that I was going to be applying in the future. Most of those professors are the ones who interviewed me,” said Chantel Martinez, a second-year Ph.D. student in psychology at the College of Arts, Sciences and Education. Students were also curious about how to find the right fit for graduate school. The alumni emphasized location, curriculum and funding. They also stressed the importance of finding the right mentor. “I chose a mentor based on my style. I like someone who is hands on and will talk to me about my ideas. We met once a week and I loved that,” Martinez said. The panel also gave attendees tips on how to balance research and their social lives once they reach graduate school. “Your first semester is going to be difficult. But once you get used to the style of [research], it’s not so bad. I started playing intramural soccer,” said Christopher Davis, a Ph. D candidate in history at the Steven J. Green School of International & Public Affairs. For more information, visit the FIU McNair Scholars website. The program is currently taking applications; the deadline is Nov. 30.